Just at the South of the Carpathian mountains where the river Danube flow through the centre of Balkan, Serbia, surrounded by Romania, Bulgaria, Macedonia and a whole network of history told in these lands and amongst its neighbors. Roman, Byzantine and Ottoman remains still linger on as drafts of a memory remarkably close in this land rich in lore and myth. This is the land of the dragon people and it was here the dragon Lucifer is said to have fallen. The river Danube is the home of prehistoric strains of Beluga and several other emissaries of Dagon himself that keep even the water rich in legend and dragon lore. So, here at the shores of Danube the cunning meeting between two witches took place in the days prior to the summer tide washing over the land scolding people, land and waters with its fiery rays. The shores of Dagon’s veins seems a most proper canvas for sharing some parts of our conversations in the form of an interview with Radomir Rade Ristic, author of the book Balkan Traditional Witchcraft. So, with this I welcome you to share this momentum outside time and space with us. Nick: Witchcraft is not only a loaded term, but an ambiguous one, as several ‘spiritual denominations’ embrace and use this term, still give it very diverse content. There is also the issues of how a witch is made – or born, so, brother, how did you ended up embracing that you were a ‘a witch’? Rade: Well, I must admit, that was not easy, for sure. In Serbia as well as in many other countries in the world, the term “witch” implies something bad, evil or a mean person. There is no true reason for that because in Serbian language the word “witch” can be translated simply as a “person with special skills”. There is a word vestica for a woman, which means ‘a skilled woman’ or vestac for a man, which means ‘a skilled man’. During the centuries this word was corrupted, mainly because of people’s fear of people who possessed some special capabilities. Recent studies made by Croatian professor Tomo Vinscak clearly demonstrates that the whole misunderstanding comes from a point of view held by people. If the person in question likes the witch he will not call her witch, but use some other reference, like Cunning man or woman, magic person, wise one and so forth. If he doesn’t like the witch he will name them witch. Vinscak shows that this is very common amongst people from one village to name persons from other village’s witches and see them as opposers of some sort. Personally I needed some time to embrace myself as a witch. I would never do that if I hadn’t had one particular dream. Strangely enough, every year on May the 1st I had a lucid dream. In those dreams I experienced something like a series of initiations and was receiving teachings and in the end of each session I would receive a spiritual gift. In one of these dream encounters two guys brought me a besom and told me how to use it. I was surprised and I asked them “what the hell is this?” and with smiles on their faces they told me: “you still don’t know who you are? You are a witch”. That is how my journey in witchcraft began. Before that I was not interested in that subject. At the time I thought I had passed through some personal upgrade of my soul or persona, and that I don’t belong to any spiritual system as such. Truth to be told, at the time I was more interested in psychology. Nick: I know that feeling, when the other world is just crashing into your life and you ask yourself – or them, what the hell is going on – and what do you want. In a way this is the initiatic crux being established as I see it, initiation in the true sense, the beginning of the journey to embracing the blood as given by human and non-human mediators, but this raises another question; what is witchcraft, as you see it? Rade: In my opinion, considered globally, witchcraft is a magic system which is rooted in the age of shamanism, with this I mean, it is a forbidden part of religion and culture, something belonging to the ‘outside’ in the cultures where it is found. In all cultures witches are heretics because they do not follow official dogmas and they interact directly with beings from the”other side”. They are not priests or priestesses who worship god or gods and goddesses but persons who “walk” between worlds and try to make an effect in both worlds (material and spiritual) and therefore within themselves. But if we look at the meaning of witchcraft as perceived upon European soil, in my opinion, it is a mixture of folk paganism and heretic Christianity coupled with a clear shamanic methodology. Of course that is shortly told, but in my forthcoming book “Mysteries of Witchcraft” (which is still in the process of translation into English) I am explaining this issue in depth and give a precise definition of that term. Nick: I resonate with that brother, and I feel it is exactly here many people get lost, because witchcraft is everything – but more than this it is neither. We can in a way realize witchcraft by its escape of labels and the affirmation of the otherness that provokes the civilized establishments of religion and society by its untamed unpredictability of being no matter how much you want it to go away. In a way witchcraft has always been an embarrassment for those who sought to organize religion, society and cults – because of this element of escape, so, what is a witch? Rade: Hah, it is very simple for me to tell what a witch is, but I am afraid that many people wouldn’t like the answer. Of course, I must emphasize that I am talking from a Balkan perspective. Witches are nothing more and nothing less, than mediators between people and the spiritual world with its residents. For Balkan witches’ demons, angels, faeries, dragons and all forms of spirits are just that; some spiritual beings - and they are all “bastards”. Do not trust them. Try to make a deal, try to help someone or accomplish something but do not worship them. That is forbidden in Balkan Witchcraft. If you are a natural born witch they can’t do you any harm unless you allow yourself to fall in their net. So you are something like an advocate. However, during the process of interaction with the other world you ‘upgrade’ yourself, some even to the level of divinization. Nick: I do agree, from my own involvement in various streams of the Craft, there seems to be stressed a caution with spirits – leading to a preference of reverence and not worship as well as the belief that spirits are not necessarily so interested in all humans as many thinks. The particular interaction between the other world and the ‘witch’ is a blood bond and through this recognition as I see it, so there is a communality here, but what do we find in your native Serbia that is particular for the varied arrays of traditional witchcraft? Nick: Shamanism is another loaded term, subject for a lot of interpretations varying from the most base to the most intricate. Certainly the Shaman held a position on the outside within his society, and he or she was respected because of this because of the gifts of healing and prophecy that rose from one person assuming or being elected to embrace this accursed position, but what is a Shaman as you see it? 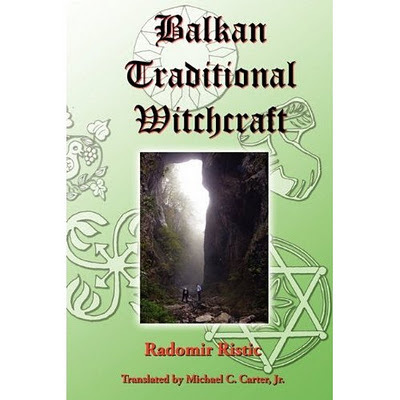 Rade: In the Balkans, as demonstrated by scholars witchcraft is not something what do not exist...because we still have authentic witches in the rural regions. Anthropologists discovered that all witches share two things; a ‘heretic’ Christianity and shamanism. Shamanism doesn’t have any dogma but a specific methodology of work, so all persons who are witches use shamanic ritual methods. These methods are: 1. Ritual trance, induced by dance, use of plants and interaction witch specific "souls" are most important because this enables the witch to be leaving its body in particular shapes… in most cases some animal shape. 2. Dance as a method to induce trance. 3. Performing rituals after midnight and at crossroads, this because in ‘shamanism’ triple crossroads is considered to be the gate where three worlds meet; the underworld, the world of people and the upper world, or heaven). 4. The importance of animals 5. The importance of knives, wands, cauldrons, besoms and similar. 6. There is no fixed dogma. 7. They pragmatically use whatever they believe will work. These are all old customs and have its roots in Balkan shamanism as presented by many scholars and I agreed with them. If you take this and mediate around Bogomilian doctrine you will get an idea of what Balkan Traditional Witchcraft is about. Because of this and the great impact of Gnosticism today we don’t have pure shamans anymore - but witches - persons who use shamanic methodology within a Gnostic frame coupled with folk magic customs. We are not talking about long and complicated rituals of a ceremonial nature, but direct interactions with the other world on pragmatic and shamanic premises. I have explained all of this in my book The Last European Shamans (not yet available in other languages than Serbian) and done something like what Ginzburg did, but with updated and fresh information. Nick: There is another element, subject for controversy amongst people talking about witchcraft – and that is the role of the fallen host – and in particular Lucifer. In your book BTW your mention that Lucifer himself fell in a tree in Wallach region of eastern Serbia. For me this would tell me that the actual root of a Luciferian Tradition proper is located to Wallachia, but how do you understand this phenomena? Rade: That is hard to explain in one interview. So we are talking about region in east Serbia where Wallach lives. They speak a form of Latin and they are very connected with old Romans. The presence of Lucifer as a Morning Star is a normal occurrence in their belief. They have customs like put white river stones in the pocket of departed person so that Lucifer could light the soul’s journey toward heaven. But Lucifer is also connected with dragons in Balkans. Moreover he is one of the dragons! Actually he is the master of all dragons. The story goes that dragons fell all over the Balkans many centuries ago. They fell in what we today call meteor-showers. Because of that, even today witches and peasants connect dragons with meteors as noted by many Serbian ethnologists. Some of those dragons fell in the river Danube, like Timok and Pek, and others fell in forests and mountains. Those who had fallen in rivers have continued to live in them under the water. They look like male mermaids and have half long hair, wide eyes and noses - and long canine teeth. Those who fell in the forests inhabited big trees, mainly old beeches with holes. How they look like is hard to say because some witches claim that they are just big lights and other that they are anthropomorphic serpents with wings and that they turn into big lights only when they start to fly. Those who have fallen in mountains inhabited caves and they look like what we understand to be dragons. So, the story goes – and tell of a specific tree in east Serbia in which the Morning Star (Lucifer) or Danica as he is called in Serbian, lives within after his fall. That tree is object for the cult. All local witches respect that tree or better; what resides within that. They work with Danica as their source of knowledge and power but they do not worship it! What is interesting here is that Lucifer is connected with dragons because he is – as all dragons - a star that fell and lives in trees as others dragons do. What we can conclude from all of this is that these stories are very similar to those we find in the Book of Enoch I. We know for sure that the Book of Enoch I and how it speaks of watchers or fallen angels and how they slept with women and had children was very important among Balkan Gnostic Bogomils and even more so what we find in the Book of Enoch II that was discovered in Belgrade, which talks about the war in haven and Lucifer. The Second Book of Enoch is also called the Slavic Enoch because it was found in Serbia and written in old liturgical Serbian. Stories about dragons and witch blood which we find amongst Serbian witches are very similar to those from Book of Enoch, although they do not talk about fallen angels but dragons. But we can conclude that in these region dragons and fallen angels are the same thing. So that is why this phenomenon is not odd for me. Nick: I would go so far as say that this is a common element in several European Craft streams, the idea of the dragon meteorite and its importance. I must also confess that I was doubtful concerning the existence of a Luciferian Tradition as such, until you introduced me for this legacy. Still, the Luciferian Tradition in the Wallachain lands is surprisingly different from the meaning most people read into the Luciferian legacy. But, what, in your opinion, is the meeting point between the witches craft and Lucifer as fallen angel in Serbia? Rade: The belief is that those dragons or fallen angels after their fall seduced women and had offspring with them. That was not a hard task for them because they are also shape shifters. So when they wanted to seduce a woman they took on the appearance of a handsome man and seduced them. That was how it all started. Children from these relationships become half human half dragons. What is most important is that by that process those children have inherited some powers and capabilities of their fathers. That means that they have some basic powers, and those powers were different from person to person but all of them would have one ultimate power, and that power was that they possessed a different’ soul, because of this all witches possess the ability to leave their bodies whenever they want. When the witch leaves the body we can see how they really look like. They look like humans but with snake skin or hair all over the body and of course bat wings. Because of that “power”, all of them are capable to be in contact with the otherworld and its hidden forces which would be visible to them only when they leave their bodies. That contact provides them with additional magic knowledge. During their night flies they can be in contact with faeries, other dragons, ancestors and many other spirit beings. Nick: As I understand, you are here touching upon yet another controversy, namely the witch-blood. So, how does the witch merge with this ancient blood, how does a witch come to the realization that it is something ‘other’? Rade: By listening to the stories about these mysteries that are passed down from generations to generations. Usually we find this to be a bloodline within a family and therefore they preserve these tales and legends. That is their legacy and history as other families might have other stories about their origins. Some explain that it all started when some dragon seduced their grand-grand- grandmother and how she conceived a child who possessed strange powers and his child in turn also possessed some extraordinary capabilities and so forth. All of this is explained in my article “Faeries, Dragons and witch blood”. Nick: For me the witch is a force of nature, it is untamed and unrestrained. So, for me the witch thrives better in the wild, but this is of course open for debate. What is your understanding on nature and civilization insofar as where the witch belongs? Rade: The witch belongs everywhere! Traditional Witchcraft is not a religion and by extension it is not necessarily a nature religion either. It fits in all environments. Spirits are everywhere and even large cities have very powerful places. Sometimes you really need forest, caves or a river for your rituals but other times a dark and moist cellar might be just what you need as well as a dark street at night, a cemetery or a crossroad. Everything draws some specific energies and “gates” that could be useful to us can be found everywhere. Nick: I would like to return a bit to nature, the wild, because in your book you write a lot about the Forest Mother, it seems to me that she is of paramount importance, so who is this? Nick: Another spirit you give much attention is Dabog or Limping Daba. He seems to be a mysterious one with his limping might indicate that he himself fell – or at least has a foot in both worlds, can you tell me a bit more of him? Rade: It is very hard to describe him and his significance. He is not just a spirit but something like a god. His root should be traced back to Bogomil dualism. So he is not some pagan god from Slavic tradition - although he could be connected with the Slavic Veles, who is the master of the underworld whose opponent was the god Perun, the master of the sky. From the perspective of the Bogomils Dabog is God on Earth and king of the material world. There is a God in heaven who rules the immaterial universe, but Dabog is the king of the world. He is represented as a great black dragon or, in human shape, as a tall man with a black cape, carrying a wide brimmed hat which hides his face. Later in history the Orthodox Church recognizes him as a Devil. Today people know him as the limping Daba, which is another name for the Devil. One of his symbols is a crutch witch has the same shape as a stang. Nick: Further in your book, as in our talks here at the Danube and in the lands of Wallachia you speak frequently about the Bogomils, how did they shaped the Balkan craft, what were their contribution? “Bogomils. Who are they?" By scholars, they took form in Bulgaria in Balkan somewhere around 927-970. That is correct, but only if you observe that precise moment, because in that time many of the Balkan countries were under Bulgarian occupations. The truth is that Bogomils were formed in the country known today as The Former Yugoslavian Republic of Macedonia. Founder of the movement was certain priest Bogumil who was preaching this teaching around 950 in the regions around the towns of Veles and Prilep. P.Kemp has concluded that Bogomilian doctrine has influenced people, as people’s believes have influence on their doctrine. Actually, in the Balkans, especialy in those times, shamanic practice was very much alive. Shamans were individuals, man and woman and every village had at least few of them. Their most important obligation was to give their community medicine and magical help. They were healers, herbalists, clearvoiants and fighters against unnatural creatures, demons and weather. Beside that they were keepers of folk-belief, myths, knowledge and wisdom. This type of solitary shamans was well known in the whole Europe. For instance in Norse tradition Völvas practiced seiðr, spá and galdr, practices which encompassed shamanism, sorcery, prophecy and other forms of magic and spell craft. The situation was similar in Germany and other European countries. In antiquity Greek and Roman witches had very similar appearance. All of these shamans share one several important features. All of them were shamans; they used ritual trance, dance, masks, animal body parts, plants etc. Their usual tools were magical knifes, wands, cauldrons, besom etc. Mainly they performed their rituals at nights because Shamanism believes that is the time when the world of people and the world of gods, spirits, demons and ancestors cross themselves. They performed their rituals at crossroads, graveyards, by the rivers and other, for them, important places. So they were dealing with magic and they were keepers of folk-pagan myths and beliefs. They were classic shamanic witches! However they didn’t have spiritual goals, an initiatic tradition as such, organized structure, group work etc. Many of them became Bogomils in the Balkan. Bogomils and solitary shamans came to exchange their teachings. Even further, Bogomils ended up incorporating all of them in their own teachings, and we know that for sure because many Bogomil books are preserved even today. In Balkan those books are known as knjige starostavne which means that they were written a long time ago. They are full of magic rituals, odd prayers, divination methods, astrology etc. Beside that we know for sure one more thing and that is that Bogomils didn’t pay taxes and they refused to work. They started to live like those shamans, working as a healers, herbalists, clairvoyants and so forth. They traded their services for food, money, animals, clothes or something. 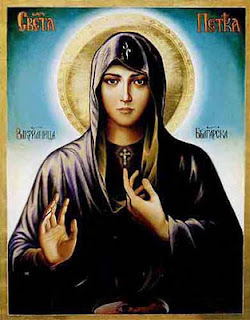 In the Balkan the governments and Church started to call them Babajci, which means “people who follow grandmother’s religion” and that is just another word for witchcraft. In Balkan, mainly old women were shamans and as we previously have told, they were keepers of the memory of the folk magic, so that nick name for them was quite appropriate. Then something else happened, the Bogomils refused to make a difference between man and women. They become the first feminists in history and they were supporting sexual liberation, partly because the gender was not important to them. The reason for this is that they saw the physical body as a part of the material world as well as everything around us. By their belief system all genders are in same position because all of them are in hell and hell is the material world. So they looked at women as equal, we were all in Hell. This perspective was a tremendous heresy in the Middle Ages and in the eye of Church, so they went one step further. They organized their groups by the old rules, passed down from the ‘Grandmothers’ of “one God and 12 members” or one leader of procession and 12 participants, and they included women in those groups. Even more, women could lead rituals as well. This was the moment when the first covens were formed as well as Traditional Witchcraft which we recognize today. Real traditional witchcraft is an amalgam of old shamanism, folk paganism and Gnosticism. That was a moment when spiritual elements were incorporated into the Craft as well as spiritual goals. At the bottom line that was a moment when traditional witchcraft was born in the Balkans, I believe this is the case for Europe as well. As we had the opportunity to see, the Bogomil movement flourished very fast trough almost the whole of Europe. They were recognized as a dangerous group and governments of some countries started to prosecute them. They started to hunt those groups of 13 members at night, in abandoned churches and graveyards and other places where they gathered. Of course, all of them were accused for practicing witchcraft. Later on, words like ‘witch’ and ‘witchcraft’ would be common denominators for the Bogomil practices. Even more, this word was also used to describe solitary practitioners of this magico-heretical folk shamanism as well. During the renaissance many people was persecuted for these practices, although they had no association with witchcraft or Gnosticism. That is why they are so important but unfortunately there is not enough information about them in the west. Nick: I hear from this the memory of the land, so from this rich Bogomil legacy that marked Europe, what is the relationship between spirits and land? I mean the dragon Tarotor has a significance related to the river Danube and other locations have a particular importance ascribed to powers found there. What this means to us today? Rade: Well, it means that sometimes we must leave our home if we want to do something. As you have told, some spirits are connected to some particular places and they don’t want to leave them or even if they want, they can’t leave them. That is quite common in Balkan. Witches usually recognize two kinds of places, good and bad. Because the energy of those places is strong it draws some spirits or provides them with certain energy to live there. I will always remember how my grandmother taught me to recognize those places. It is simple. Places with low vegetations, a lot of dead plants, or those which were not capable to grow and get normal size, are places with bad energy and bad entities. Those with green and prosperous vegetation are good. Of course there is more, some are significant because somebody died there, or there is some significant building, crossroad, object, tree, stone or whatever really that can draw, carry, store and preserve energy. Nick: We have now discussed the connection between Shamans, Witches, Bogmomils and Dragons. But sitting here in a city were the infamous Vlad Dracula came to defend against the Ottoman besiegement it is only proper to ask about how vampires fit into this imagery, because Vampire lore is rich in the Balkans. Rade: I will try to do that in a short manner if that is possible, but that will be explained as it should be in my third book “The Last European Shamans”. Shortly told, vampire is the only Serbian word which has entered in world languages. It was in use just in Serbia before a great scandal in the beginning of the 18th century when some strange epidemic started to murder Austro-Hungarian soldiers in Serbia. We were in war then. They told to their superiors that Serbian dead soldiers attacked them at night and “had eaten” them. They didn’t drink their blood but consumed their vitality. 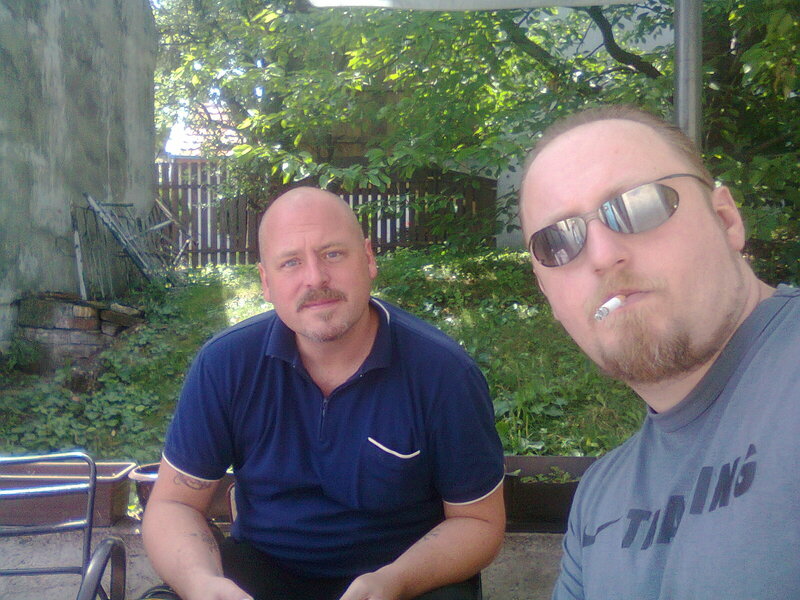 So MDs from Vienna came and dug up the graves of the suspects and found that all bodies were still fresh. So the word spread all around Europe as a flame in rivers of gasoline - and by this the word vampire got known. Officially in our anthropology vampires are souls of bad people who attack people at night. Their bodies in graves stay fresh because during the day they return to them after their nightly hunt for vital fluids and energy. But that is correct just in one sense, because yes, vampires are the souls of dead witches, dragon men and all others who possess “dragon blood”. So during the life time they were capable to leave their bodies when they wanted and fly in their real shape. After they died, they became even more dangerous because now they were just spirits who could sleep during the day in their graves and feed at night with other human energy. So people are very afraid of them…Because of how they look in their dragon shape, we have recognizable images, bat wings, werewolves and similar. Nick: Dabog, the Devil, this world a Hell inhabited with Dragons and half-breeds - and now vampires, it is very easy for people of a more rational and modern mindset to see that we are here painting The Devil all over the Craft, so perhaps a clarification of the role of the Devil in Traditional Witchcraft is proper? Rade: Again, it is very difficult to give a short right and a good answer to this. Yes, the concept of the Devil exists as well as concepts of many Angels and Saints. So we can find characters from Christianity as well as from folk paganism like faeries, spirits of nature and places etc. However, he is very important in many traditions. We say many because there is no one central cult but everything is on regional level. But he is at no place the object of worshiping! That is forbidden. Witches can work with him but not as many people think. They can give him an offer to heal someone or for love magic as well as for evil ends. In general - and in the most traditions - he is the limping Daba and he is known as an unselfish giver of all goods. The famous anthropologist Veselin Cajkanovic wrote a fantastic book on that subject. In many cults he is the inventor and keeper of hidden knowledge. He has two closed ritual spaces and two opened. Closed ones are forges where the anvil is an altar and watermills where the millstone is the altar. The first open ritual space is the crossroad and the second one is bridges. Folk traditions tell us that he is the inventor of forges and mills, so he is very connected with those places. The forge and anvil is connected with him through legends. Legends tells that he shows himself after midnight on crossroads because they are also crossroads of worlds and other myths tell us that he had been put in chains after his fall, under a bridge. In some other traditions he is a guardian of the St. Peter’s Gate, the gate through which the souls' of dead go to heaven. In one very interesting tradition that I have found in east Serbia, they revealed me a secret of who he is. They told me that he is a Christ, because God could not be material but Christ was, so he is God’s image in the material world… considering the theological consequences in this statement, do I need to add that this is a pure Bogomilian statement? Also, I should mention that in many occasion he is the one who tempts people and in many traditions his presence in initiation is an obligation, if one seeks the blood, there is much, much more to tell about him, which I have done in ‘The Last European Shamans’, but for now that is all. Nick: Lastly brother, in this day and age of turmoil and havoc, do you think the witch has a mission or purpose in the modern world, a particular mission to carry out? If so, what is it?